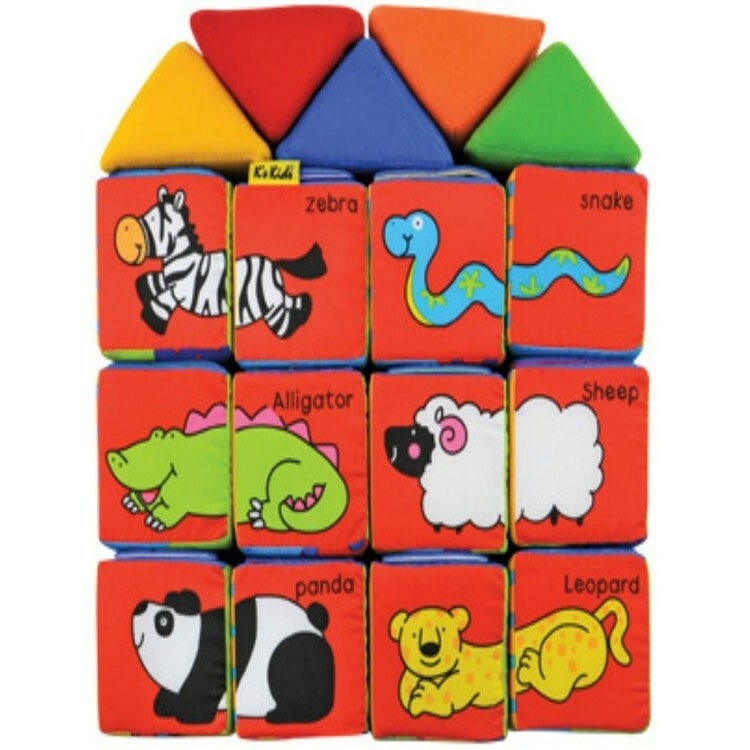 Not only can you stack and build with these safe and durable soft blocks from K's Kids Match & Build learning set, you can also complete fun puzzle activities! 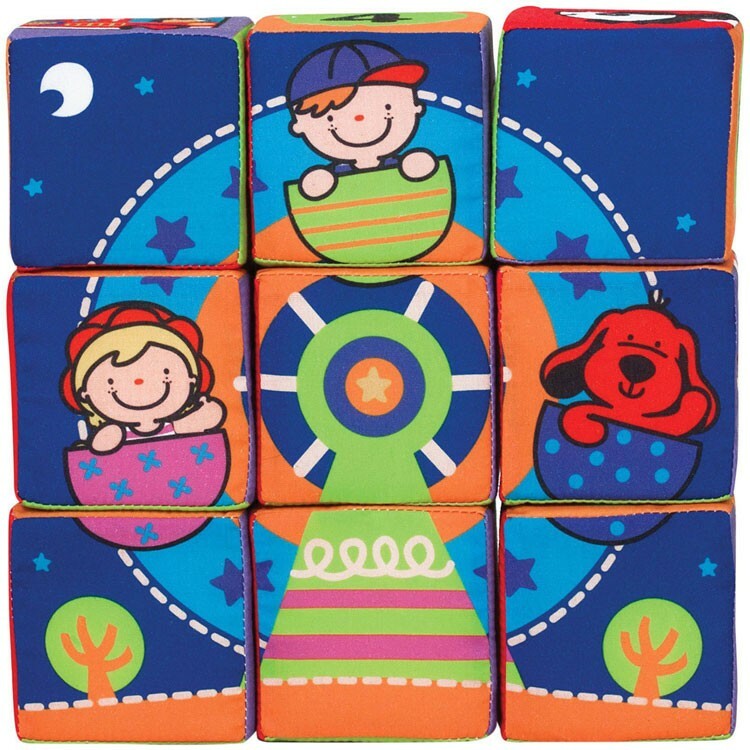 Blocks have never been this fun! 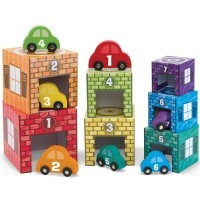 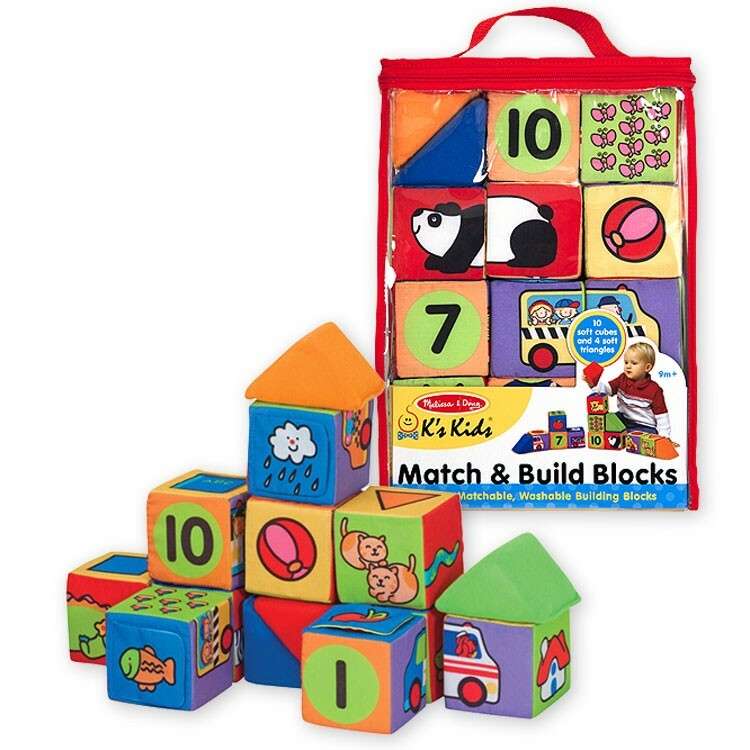 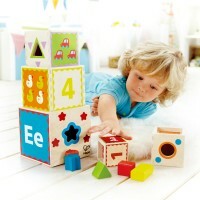 K's Kids Match & Build 14 Soft Blocks Toddler Learning Set lets you stack, match, and play! 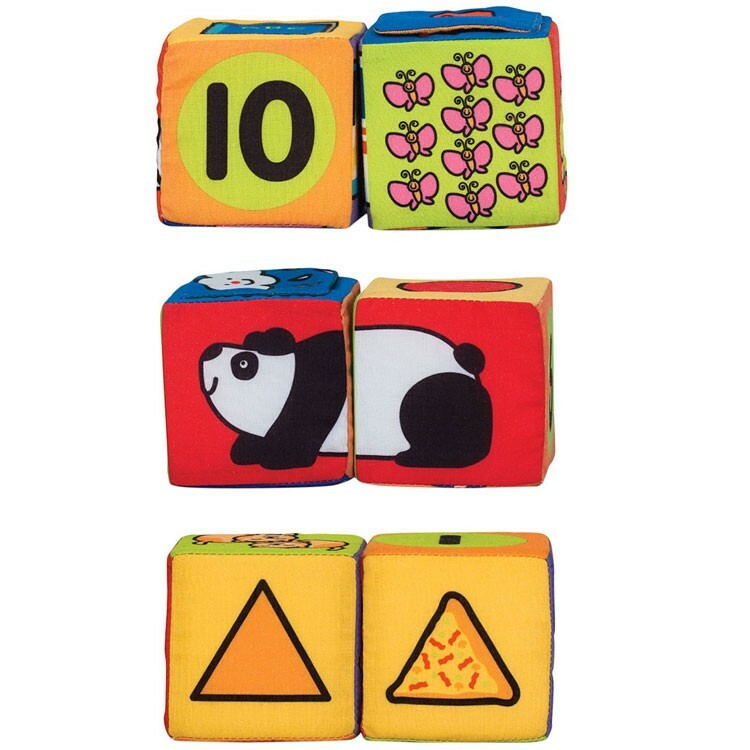 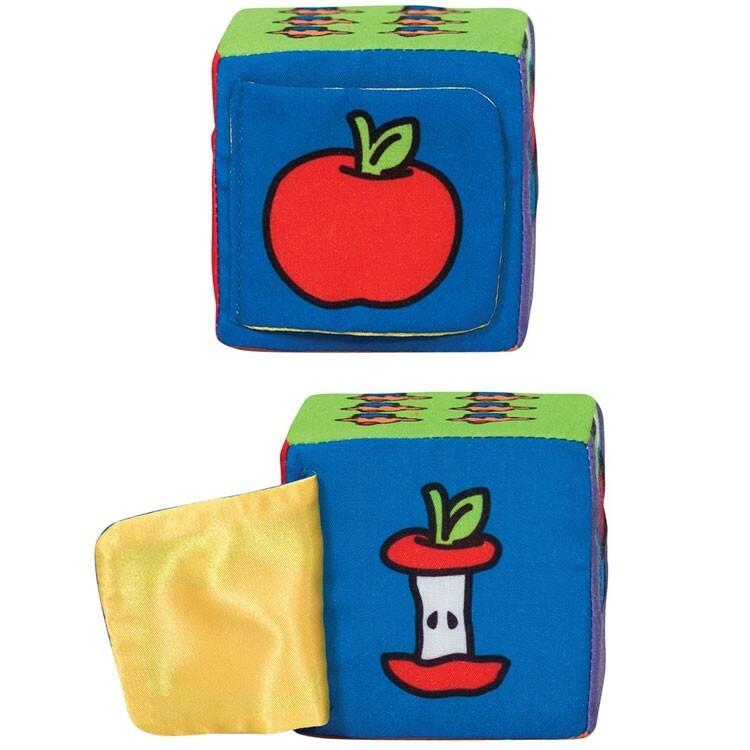 This unique block set from Educational Toys Planet features 10 cubes and 4 triangle blocks made out of soft, machine washable fabric. 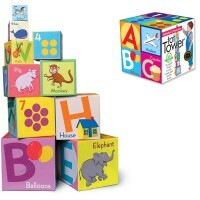 Not only can you stack and build with these safe and durable blocks, you can also complete fun puzzle activities! 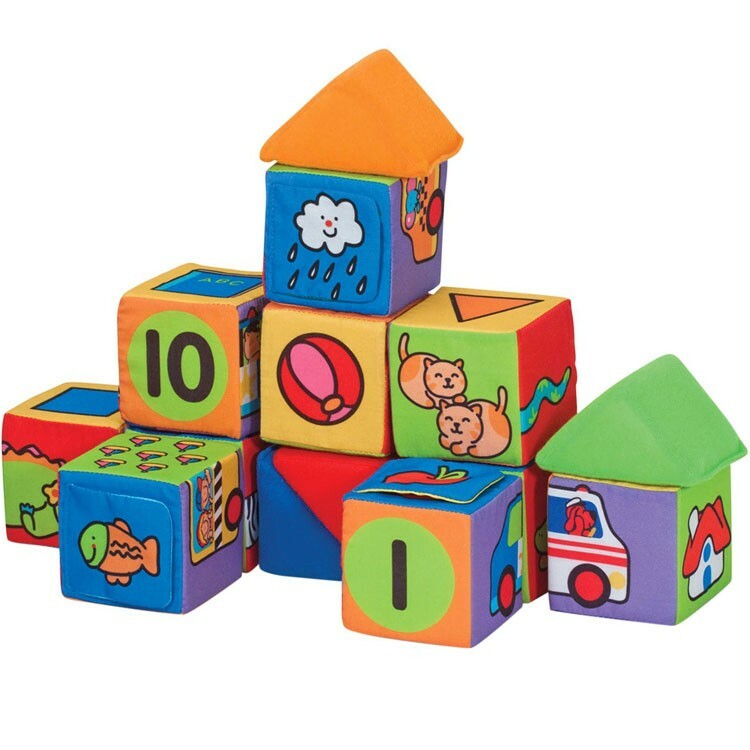 Organize the blocks to piece together a fun carnival scene, match the animal side of the blocks to see fun critters, or play with the number side of the blocks to practice early math skills. 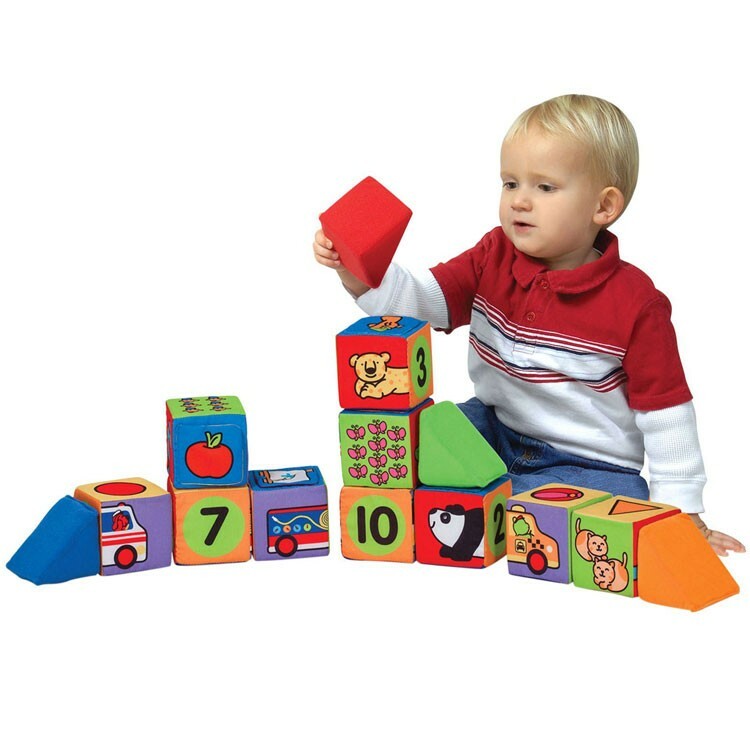 Match & Build 14 Soft Blocks Toddler Learning Set by one of Melissa & Doug's toy brands, K's Kids, are a great way to encourage fine motor skills, construction skills, problem solving, matching, and creative play. 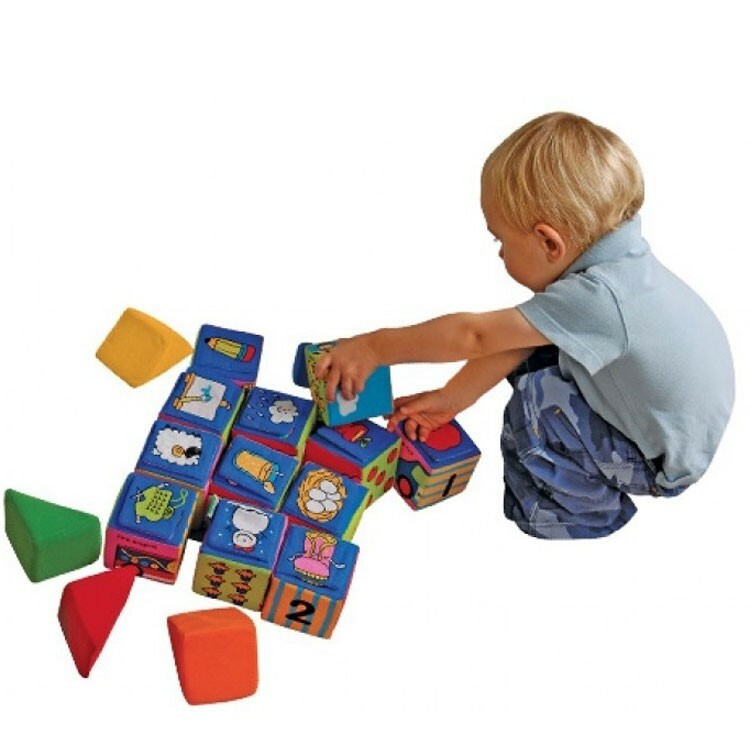 Babies, toddlers, and small children of all ages will love these colorful, easy-to-grab blocks - and the play possibilities are endless! 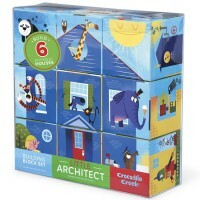 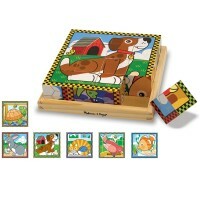 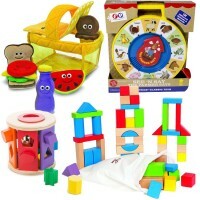 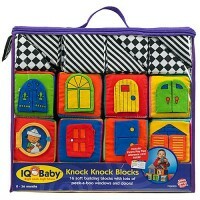 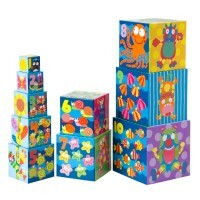 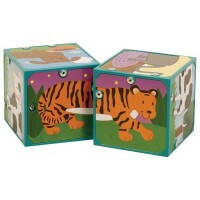 Dimensions of package 11" x 14" x 4"
Write your own review of Match & Build 14 Soft Blocks Toddler Learning Set.